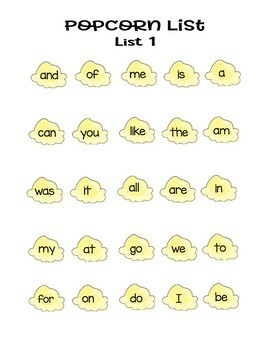 4 Free Popcorn Sight Words Lists - 100 words total! 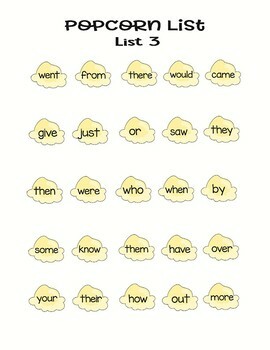 This is the exact set of words I used with my kindergarten classes to teach sight words. 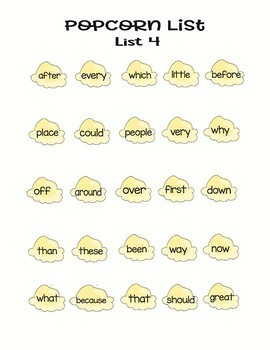 I developed weeks worth of lessons full of engaging activities centered around these words. 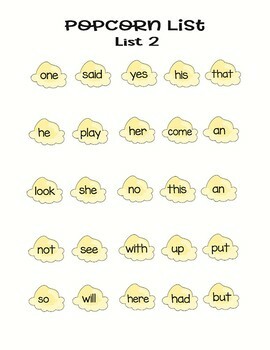 What resulted was an amazingly fun & effective sight word program that I am now using with my own Pre-K daughter as I teach her to read! I'm so passionate about this system, I dedicated a 3 part series to this on my blog, This Crafty Mom. Be sure to check it out for tons of additional free resources! If you'd like more information the bundle of lessons and activities I offer, be sure to click here.